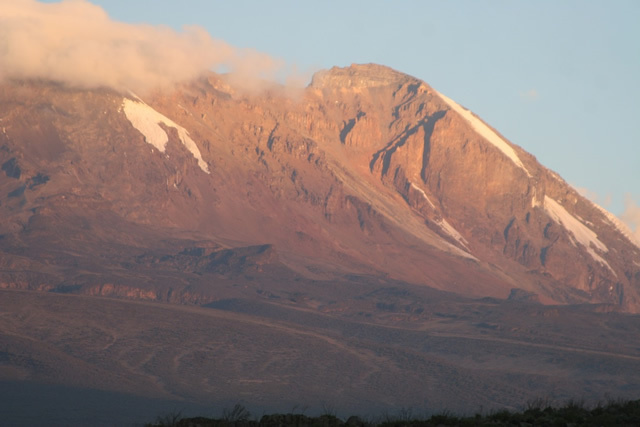 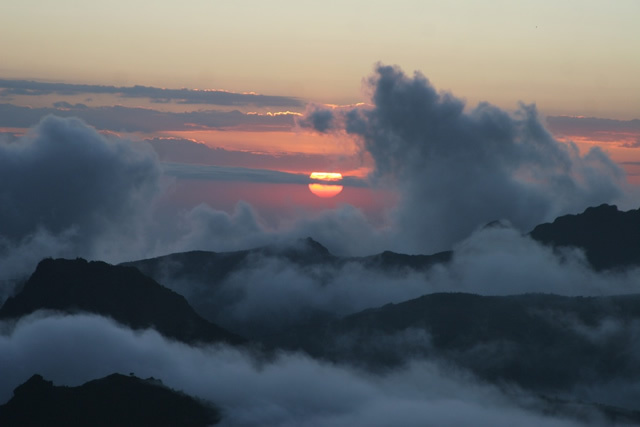 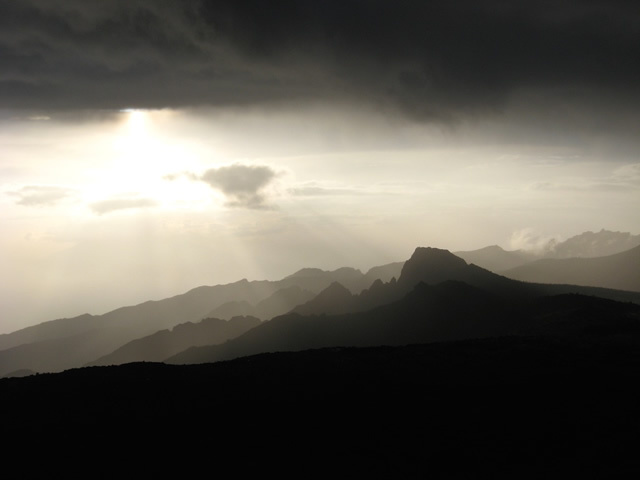 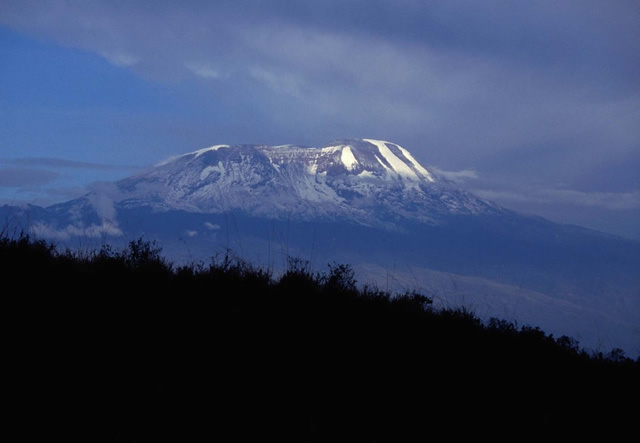 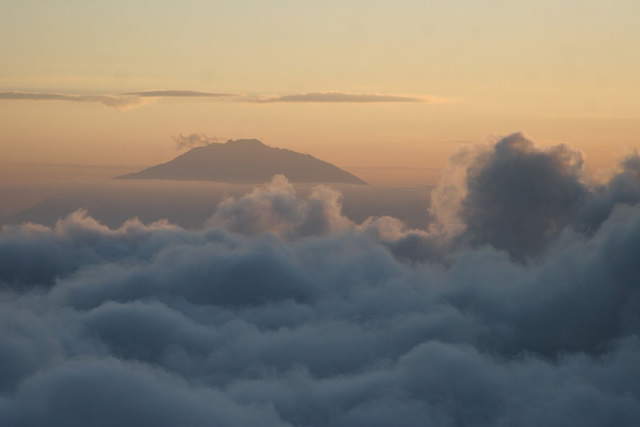 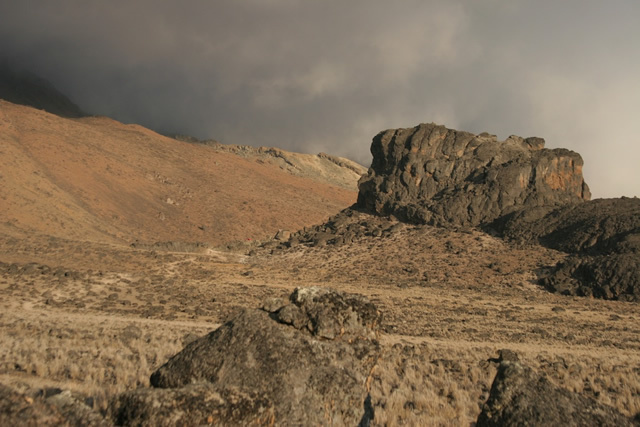 At 5,895m (19,340 feet) above sea level, Uhuru (Freedom) Peak is the highest point in Africa. 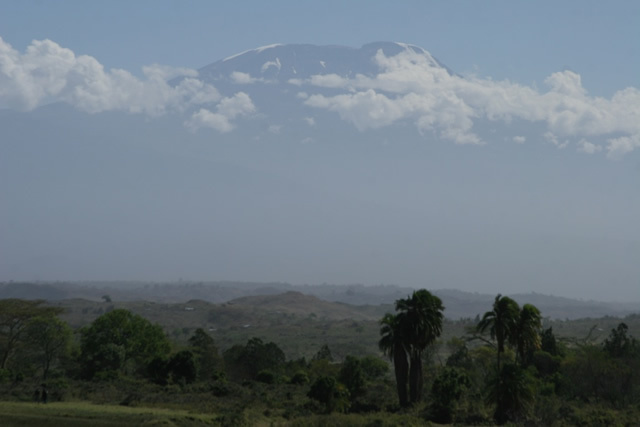 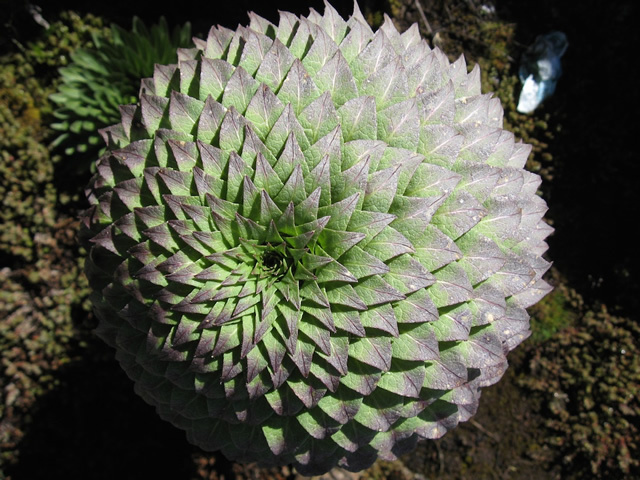 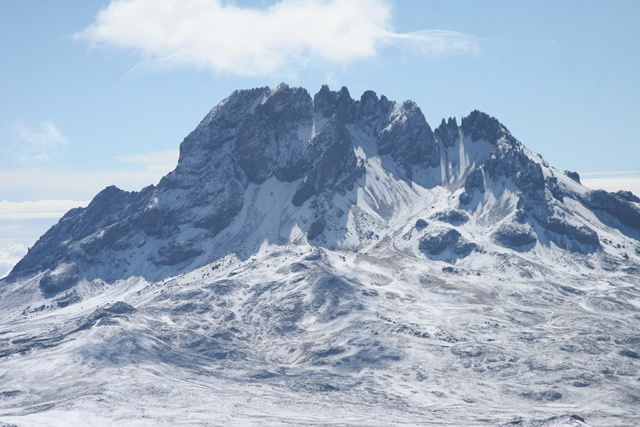 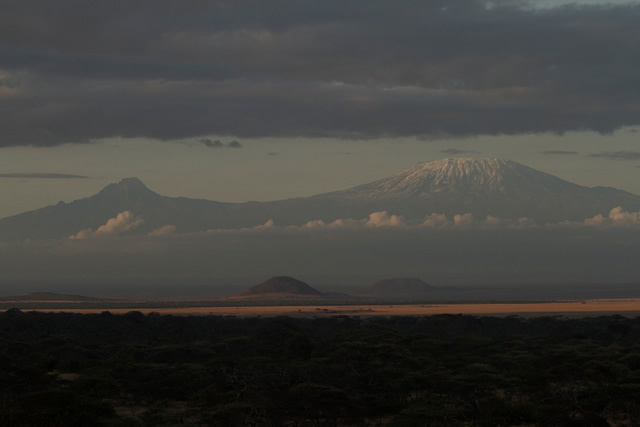 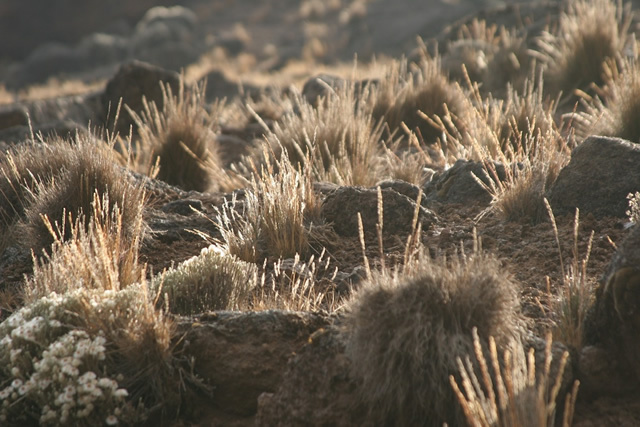 On clear days views stretch as far as Mount Kenya, 320 kilometres (200 miles) away! 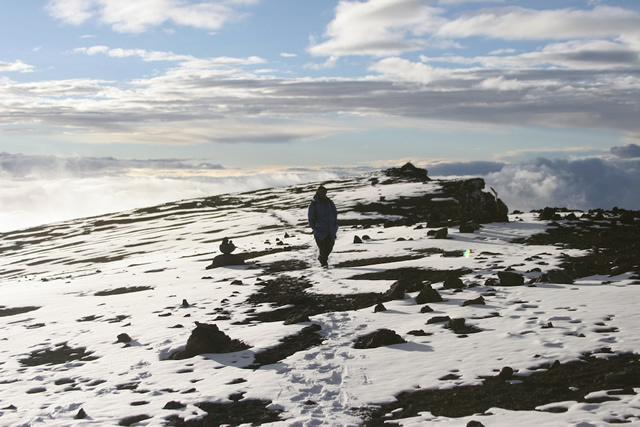 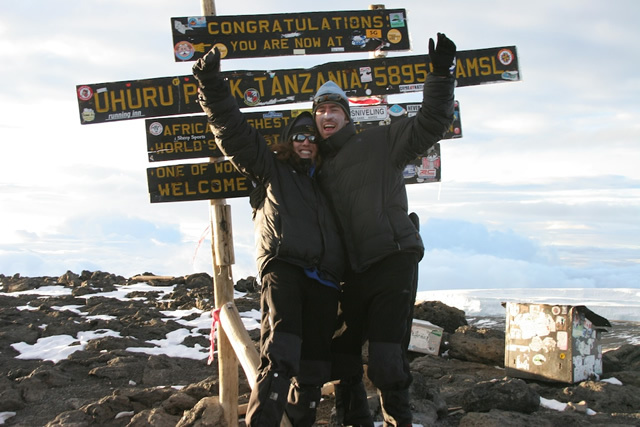 It is exhilarating standing on the top of Africa, having achieved a goal of a lifetime. 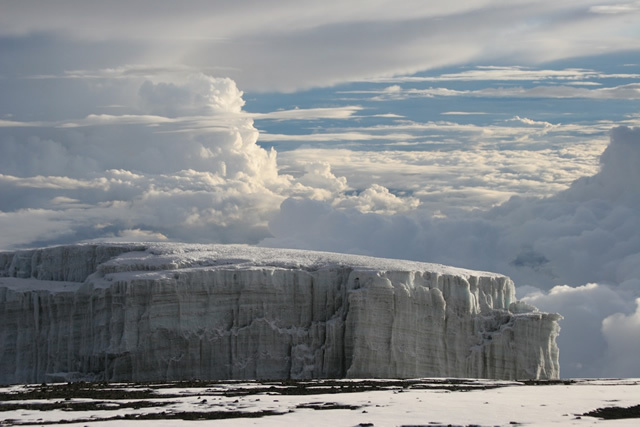 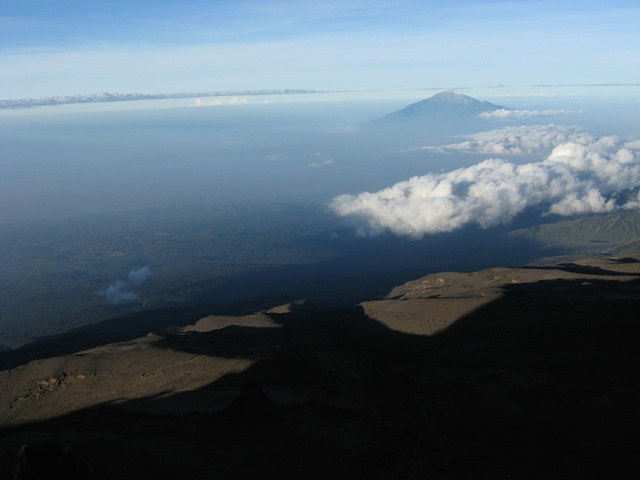 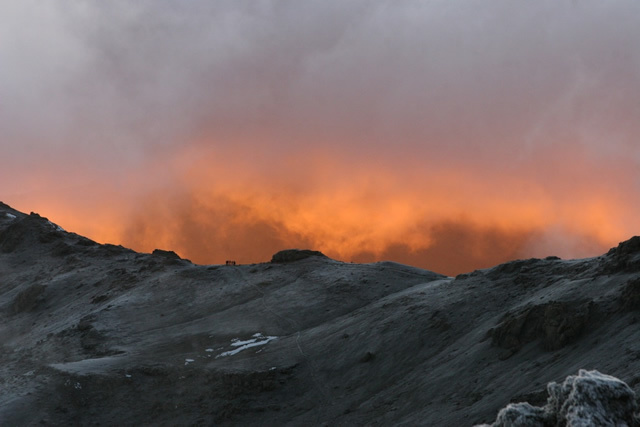 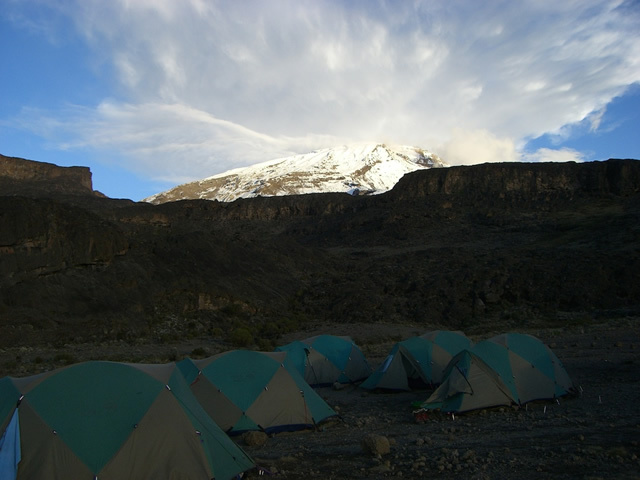 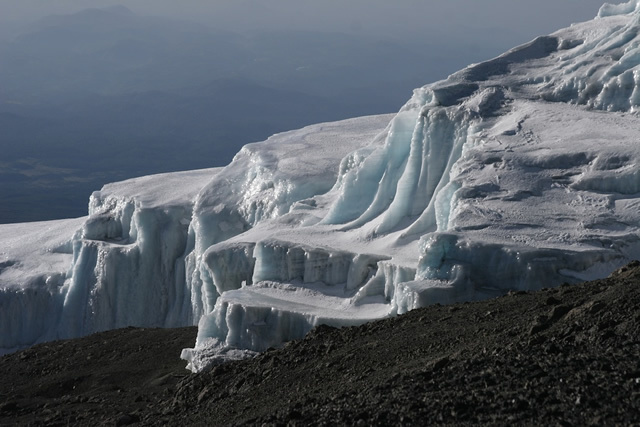 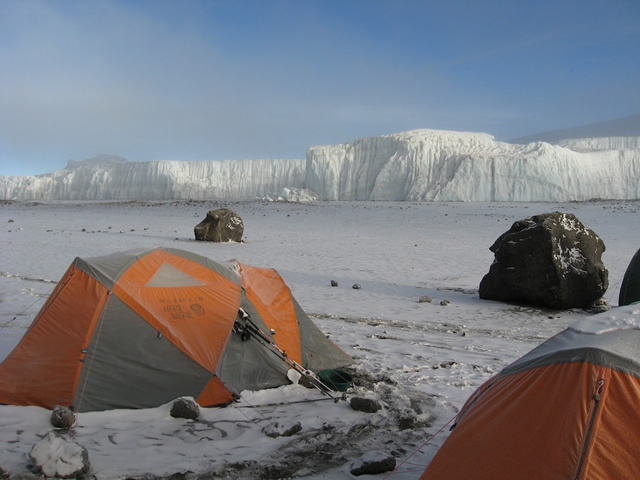 We have been guiding Kilimanjaro climbs since 1994, and we specialize in exclusive climbs, all of which are currently led by seasoned A Step Ahead guides Squack Evans, Marc Baker, or Justin Bell. 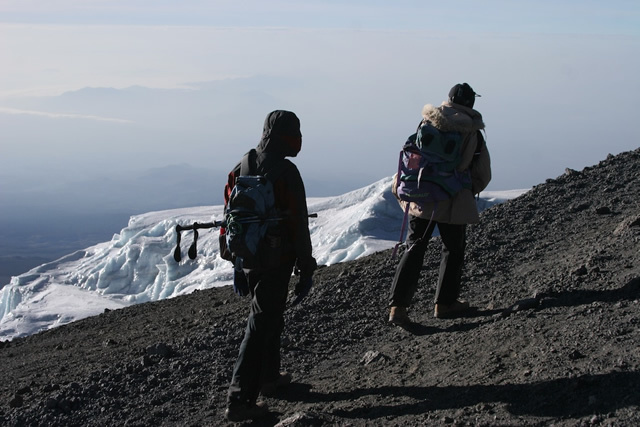 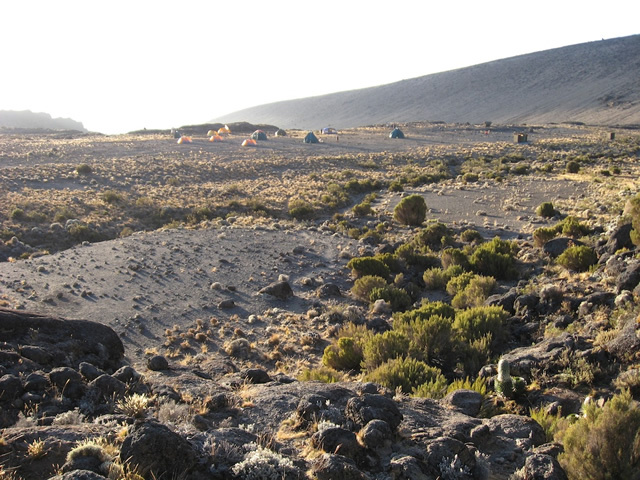 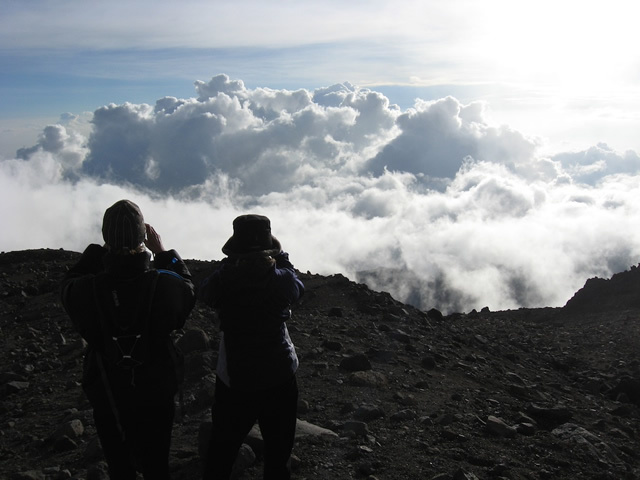 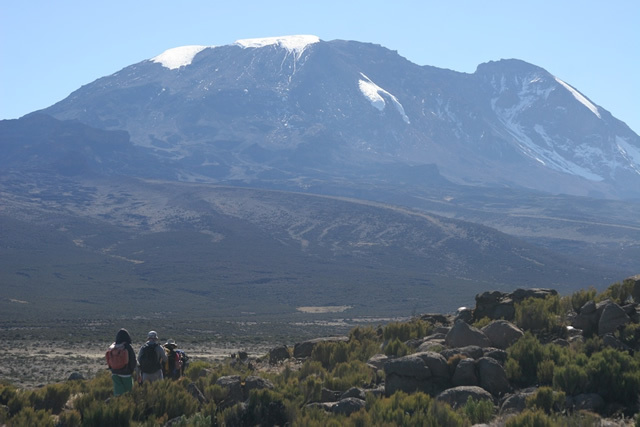 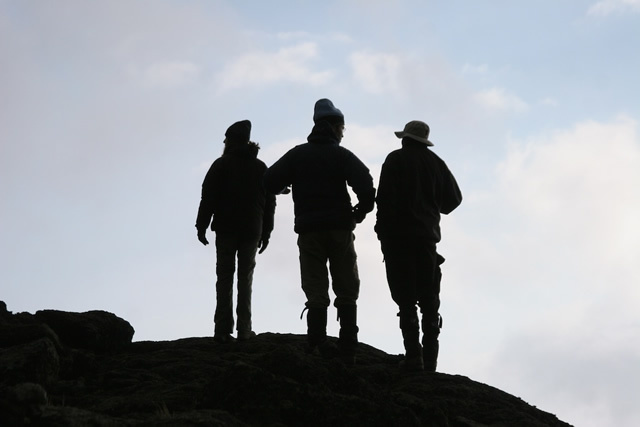 They are assisted by other highly experienced and fully certified Kilimanjaro mountain specialist guides and assistant climbing guides, enabling each guest to walk at their own pace and allowing us cater more for individual climbers’ needs. 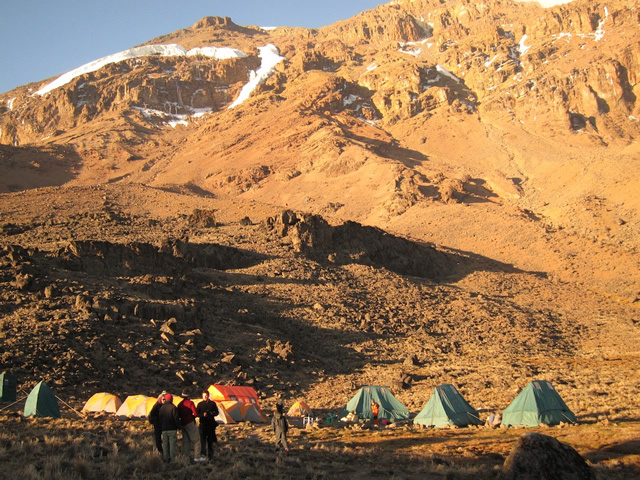 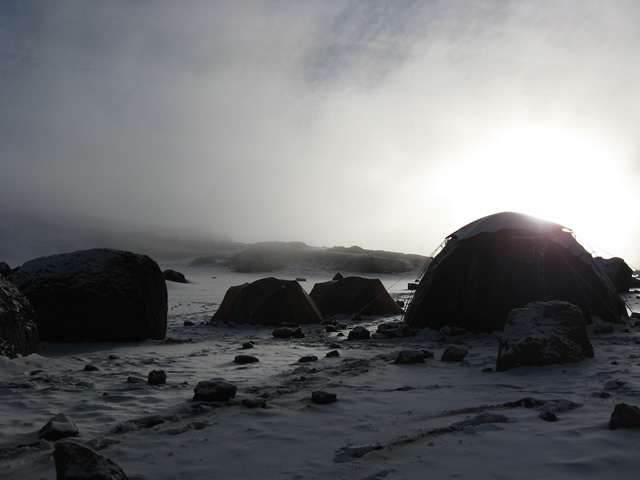 Each two guests are accommodated in a three-man mountain tent. 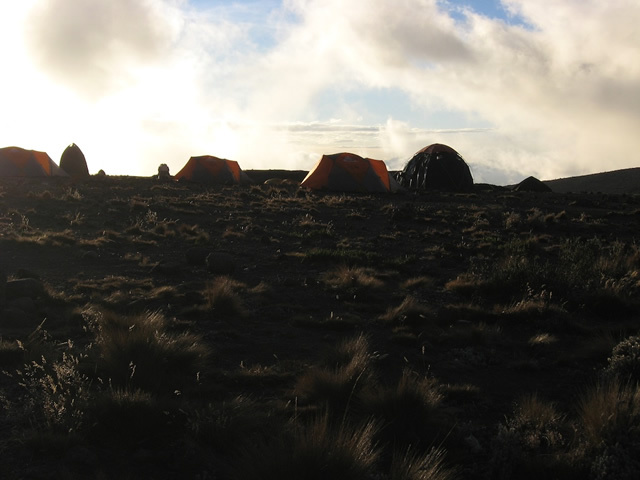 We also supply a dining tent, decked with lightweight tables and chairs, and a private “loo” tent with a flush toilet. 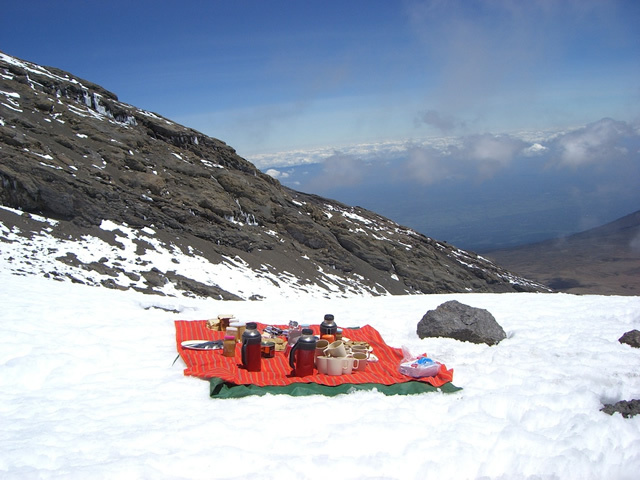 Hot beverages are brought to your tent at rising time on most days. 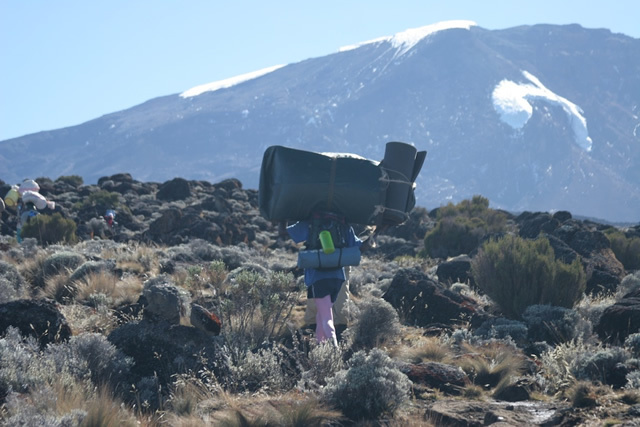 We provide from 3 to 5 porters per climbing guest, who carry nearly everything, from food, stoves, tents, and client’s equipment. 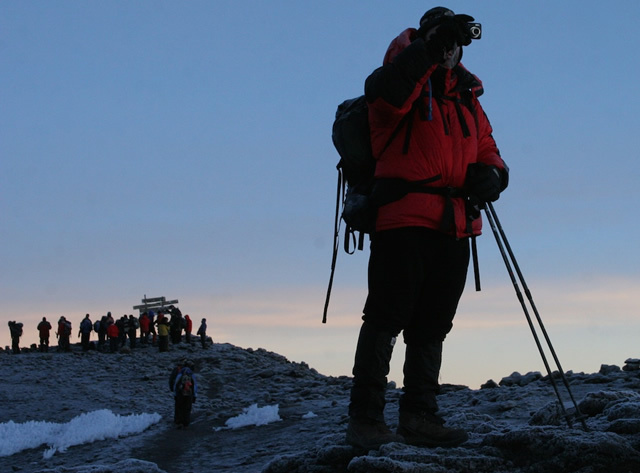 You are only expected to carry a light day-pack, incorporating an extra layer of clothing, drinking water, trail snacks and personal items such as your camera. 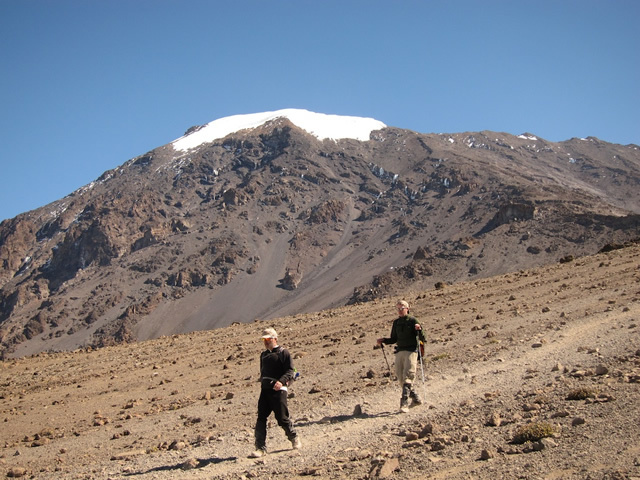 All three of the routes we offer are some of the least traveled and take the most time (7-9 days) to hike, being optimum for acclimatization. 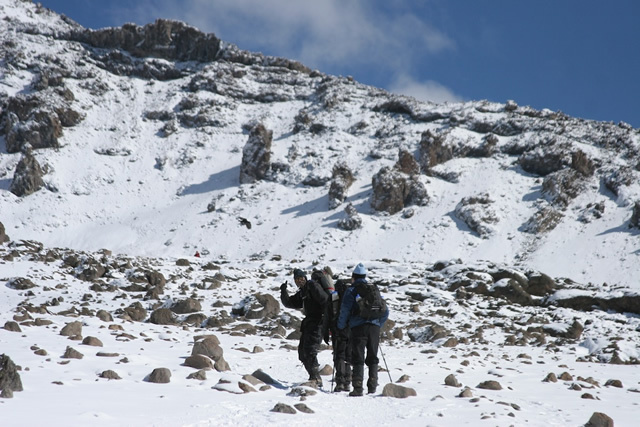 The best times to attempt a climb are in January and February and from mid-June to October. 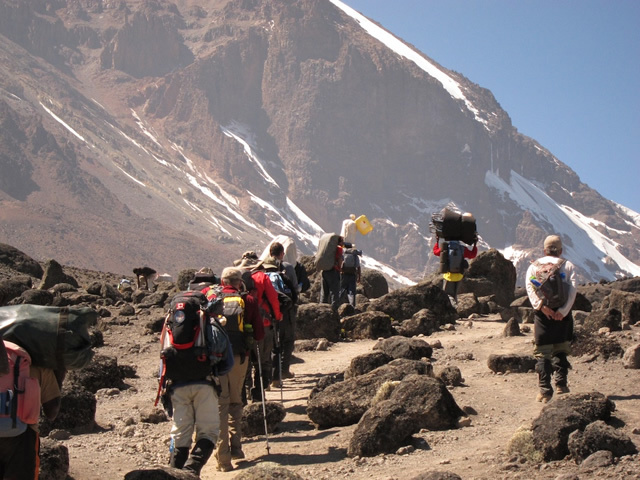 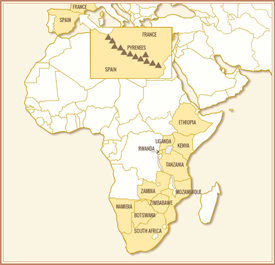 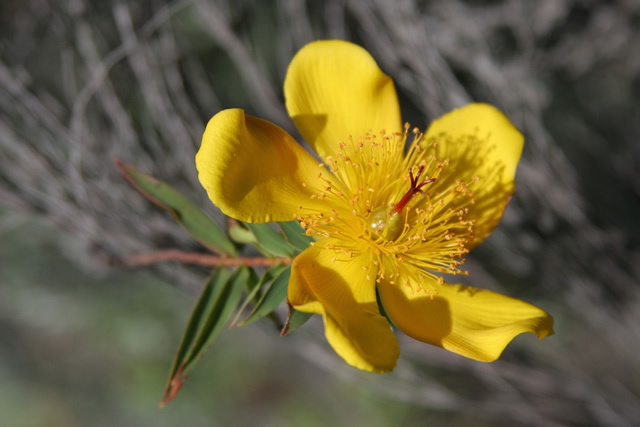 For information on costs or our climb itineraries, visit our Resources page.